Reader Khris Ramirez, who last year made those awesome Pokemon x Gundam models, is back with a new one based on Zelda. 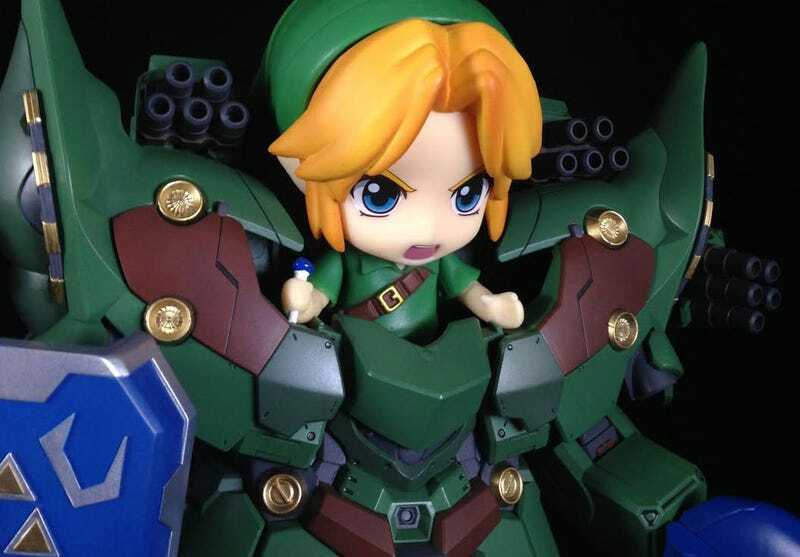 It combines an SD Neo Zeong model kit with a Nendoroid Link, then paints the whole thing in a very appropriate Hylian colour scheme. You can see more of Khris’ work at his Facebook page.